The company, headquartered in Florida, U.S., has appointed the former UK professional dancer, Gary Edwards of the U.S. television show Dancing with the Stars: All Access judge to spearhead the drive to increase the franchise network in the UK and Ireland. Edwards has won over 30 international dance titles including the British Open Ballroom and the British Open Latin. He is also a highly experienced judge having judged 47 world championships. To promote the health and lifestyle benefits of dance and the business opportunity the Arthur Murray franchise provides, Edwards will be touring the country and deploying a campaign #GetBritainDancing. 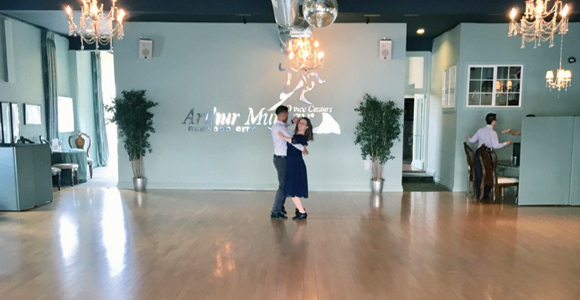 Edwards explains: “Arthur Murray International has been engaged for over a hundred years in operating and franchising dance studios of the highest reputation and excellence and boasts unique and successful methods of teaching dance. The company has a wonderfully talented team and I share their goals, values and vision. Tom Murdock, vice-president of the company, continues: “Arthur Murray International has expanded exponentially in recent years through new franchises, international competitions and organic growth. We are in the strongest fiscal position ever and have the largest global reach in our company’s history. Since 2003, the dance company has opened 83 franchise studios around the world and over the next 12-months has studios scheduled for Brazil, Hungary, Peru, Canada and the U.S. Its longer-term plans including expansion into Spain, Denmark, Finland, Portugal, Norway, Trinidad, Australia, Italy, Austria and Croatia. The studios offer all types of dance classes including ballroom and Latin for children and adults, whether they are beginners or experienced dancers. Its professional staff can also choreograph a dance for a couples’ special first wedding dance with their chosen music. Arthur Murray International says it currently has 272 dance studios in 23 countries worldwide with an annual turnover of almost $98m. Its combined businesses offer students lessons, courses, parties, club memberships, competitions, trips and a social and lifestyle community.